Come to our events at Bellevue Motosports in Bellevue, WA. Here you will find all of the events we have currently scheduled for Bellevue Motosports. We hope you will come by and join us! If you Check back often to keep up with all of the events here at Bellevue Motosports, located in Bellevue, Washington. Overview: MV AGUSTA Open House and Spaghetti Feed. Please join us Saturday April 27th, 5 to 7 PM to celebrate Spring Riding Season and MV AGUSTA Motorcycles. 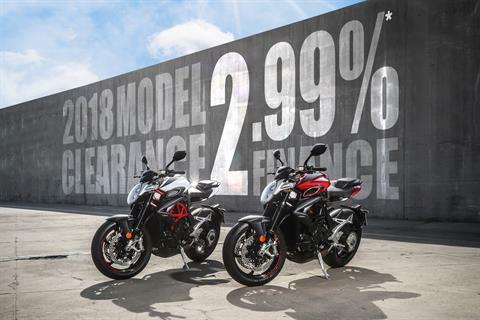 We have most models in stock and several demonstrator bikes available for those who are shopping for a new motorcycle. We will have several very special and hard to find MV Agusta's on display including Pirelli Dragster and Brutale, Dragster America. and Lewis Hamilton Brutale and LHF4RC. We have the largest stock of MV's on West Coast! We will be serving all you can eat spaghetti with marinara sauce, meatballs and sausages including Cesar salad and fresh Italian bread. Feast your eyes on MV AGUSTA Motorcycles while you enjoy feasting on Italian Food. Overview: Vespa Open House and Spaghetti Feast. Please join us Saturday May 18th from Noon to 4 PM to see the New VESPA ELETTRICA the worlds's first fully electric scooter with a range of 75 miles! We will also have many of the new 2020 models which start arriving soon! Demonstrator models available (Primavera 150 and GTS 300). Ride a Vespa and Live Better! Overview: June 22nd is National Vespa Parade Day. Vespa and Piaggio owners meet at 10 AM @ McDonalds adjacent to Bellevue Motosports (140th Ave NE and NE 20th). Riders depart at 11 AM. Route to be determined by mid May. Ride will end late afternoon at Tutta Bella in Crossroads Mall (Bellevue). Food and beverages offered at 10% discount to group riders. Ride a Vespa and Live Better!